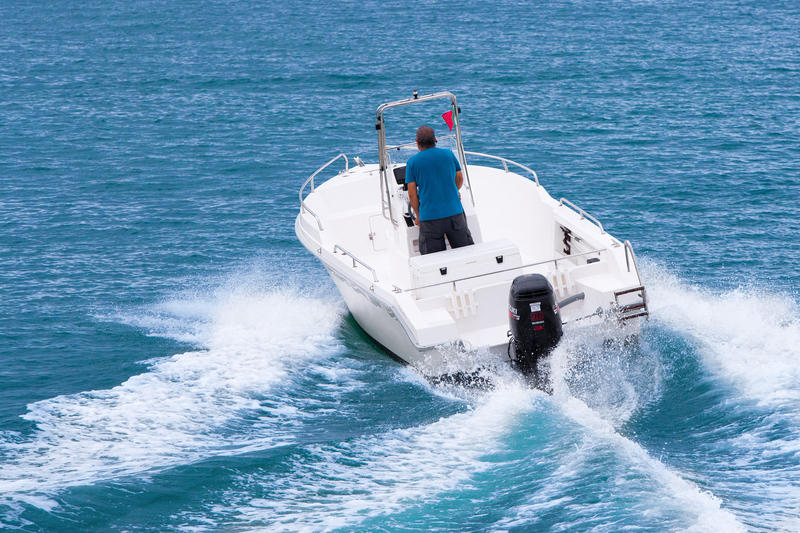 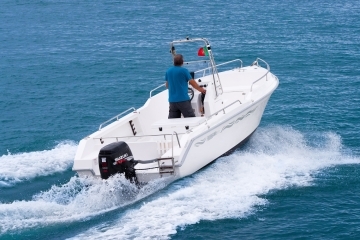 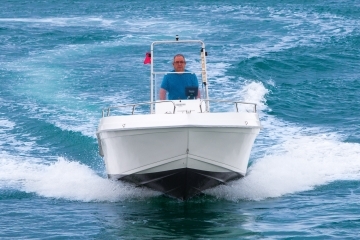 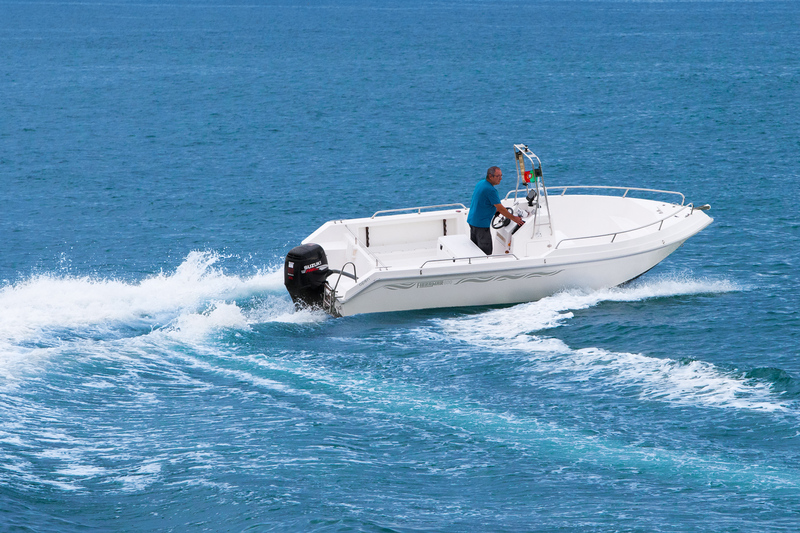 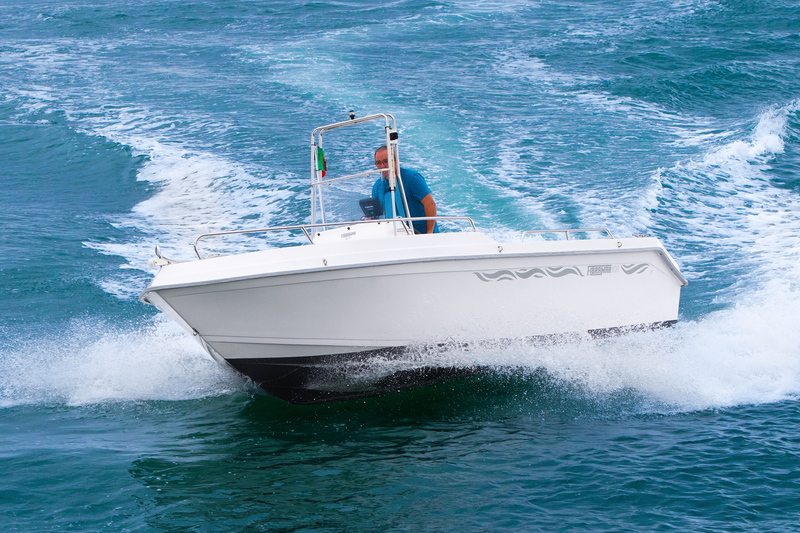 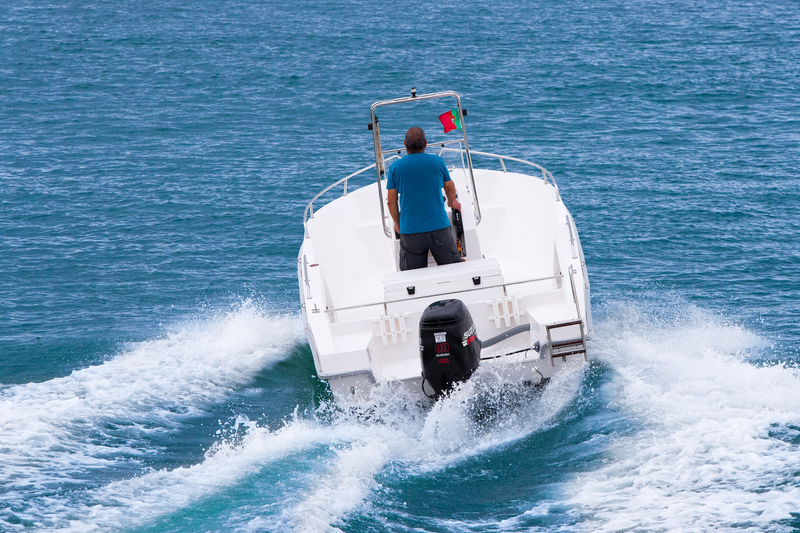 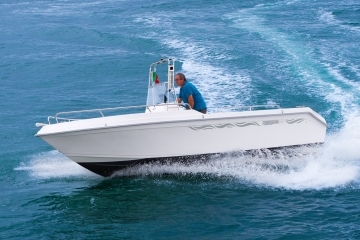 The 600 Open is a versatile and dynamic boat, fast and safe, great for fishing with comfort. 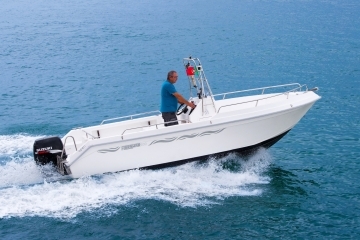 It is the ideal boat for a great family fishing day. 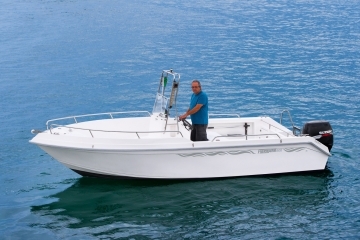 This is a 6m long model with 2.5m beam, open with center console, pilot seat, benches at the bow and aft with cushions. Its space and inner volume, boosts the number of people on board in relation to the model 550 Open. 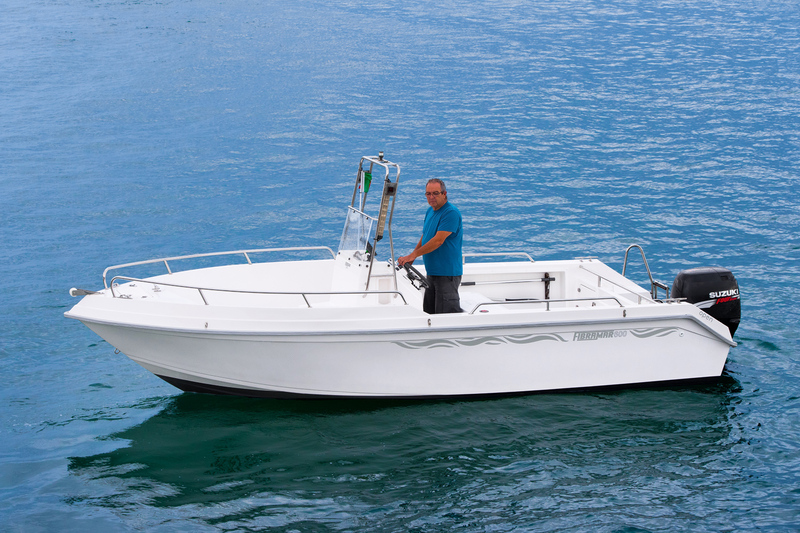 This space is even more necessary if there are multiple people in the fishing activity (this boat can accommodate up to 6 people in total). 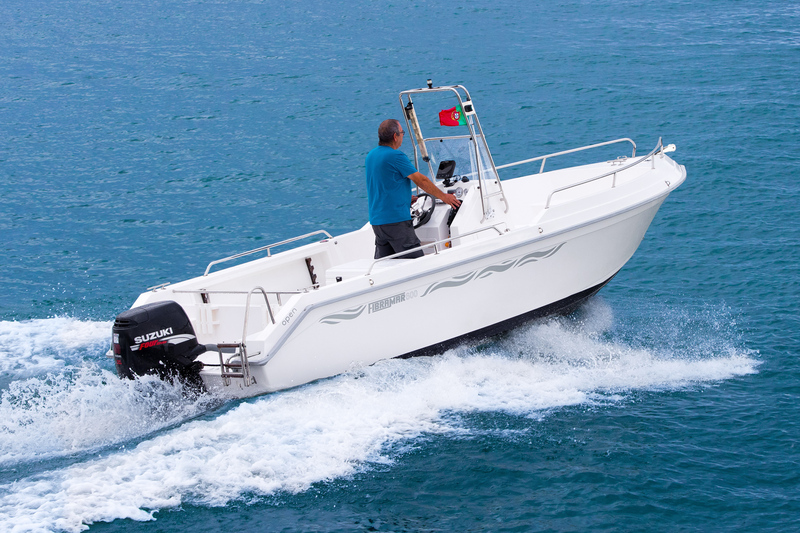 This model takes advantage of the hull of the 600 Farilhão. 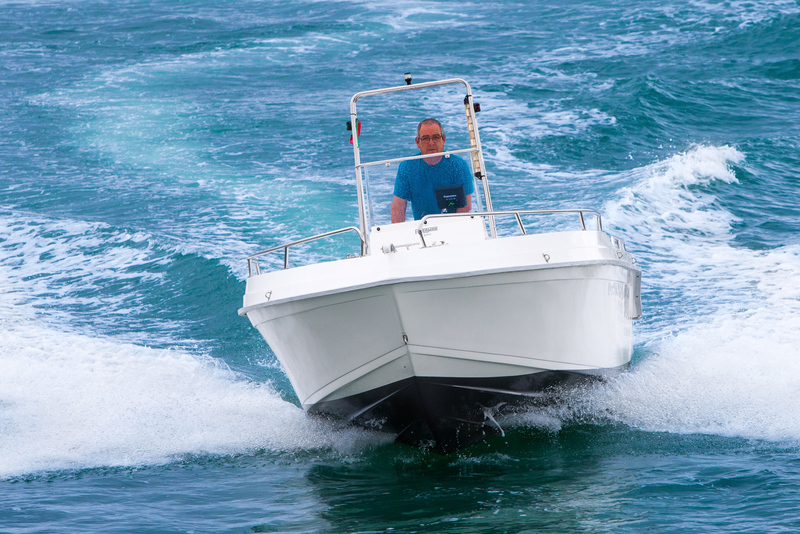 On the inside the 600 Open is not intended to be an elaborated boat. 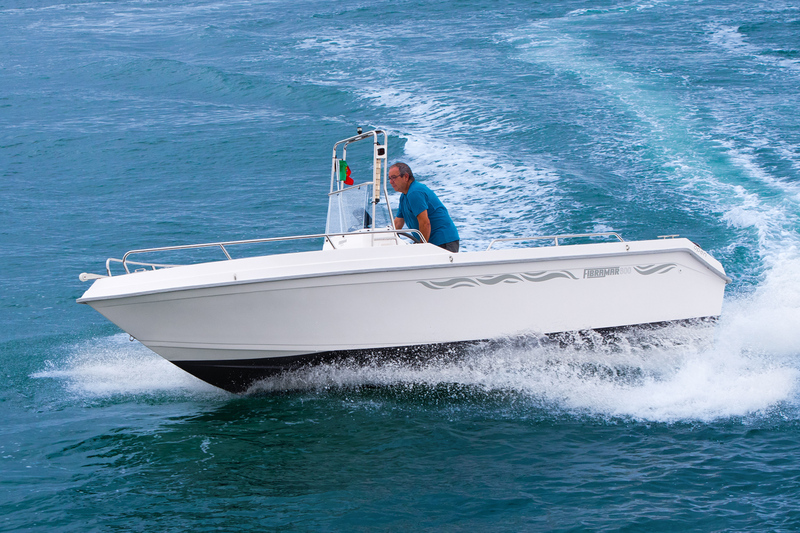 However, in relation to the models of the range Pescador, this is a boat with some features that allow more comfort on board. The center console has a cushioned bench built into the structure. 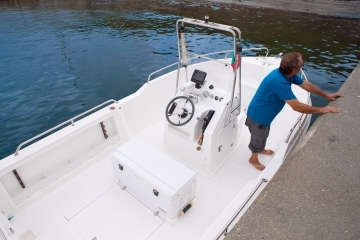 At the bow there is a seat that can be converted into a large cushioned sundeck (optional). 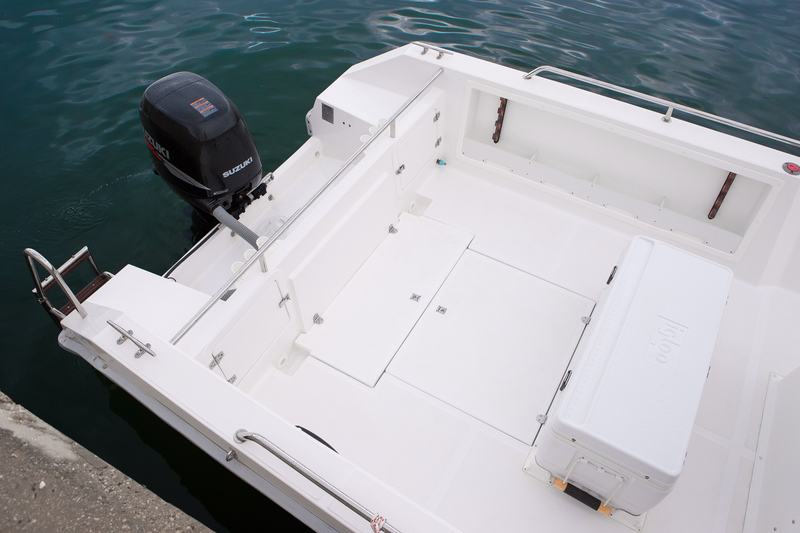 At the aft there are two individual seats, one on each side of the bracket, with lockers below. 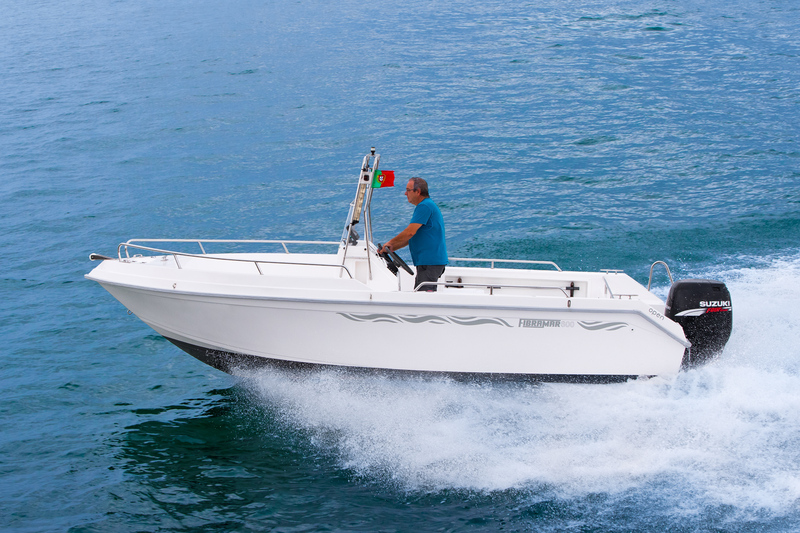 The border is quite high, with approximately 62cm of height, which makes it a very safe boat to be working on the edge. The circulation is very fluid, with no obstacles of any kind. High center console (optional) is available.